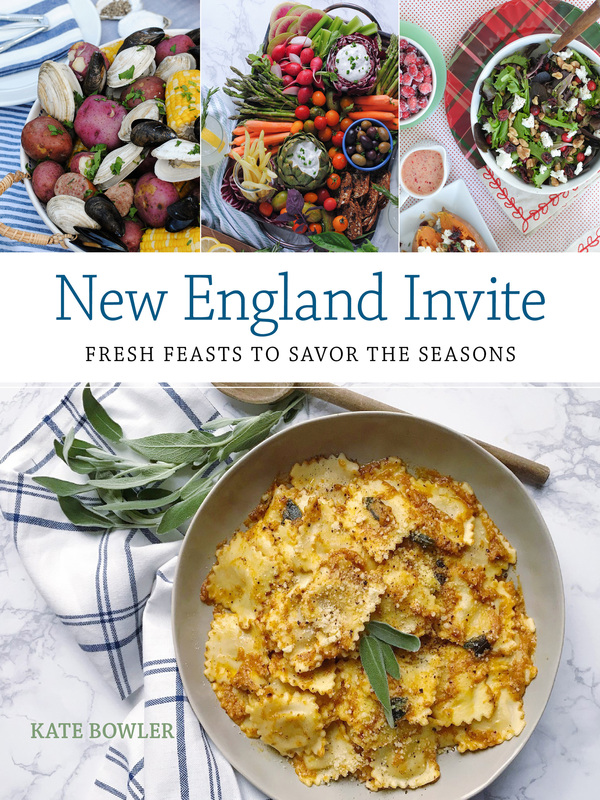 Just about every post I’ve been sharing here this week has one thing in common: joy over the impending kick-off of summer this holiday weekend! Summer has an extra special feeling since we moved to our ocean-side town outside the city last year. We get an influx of friends coming down to see us (ahem, use us for our beach passes) and family members pile up their visits during these warmer months to make use of the waterfront. We’re taking on a few house renovations right now to update our master bedroom and guest bedroom (more on our design plans next week! ), and I’m so excited to have nicer places for everyone to stay once the projects are completed. I’m getting all of my ducks in a row so once the renovations are complete, I can set up both rooms and prepare the guest room for summer visitors! One thing I always notice when staying away at a friends home are the little details that make me feel at home. 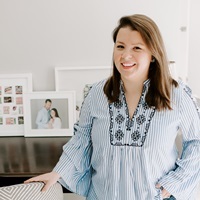 I have a few fun ideas for setting up your guest bedroom that will make your friends and family feel like they’ve scored a reservation at a posh B&B! 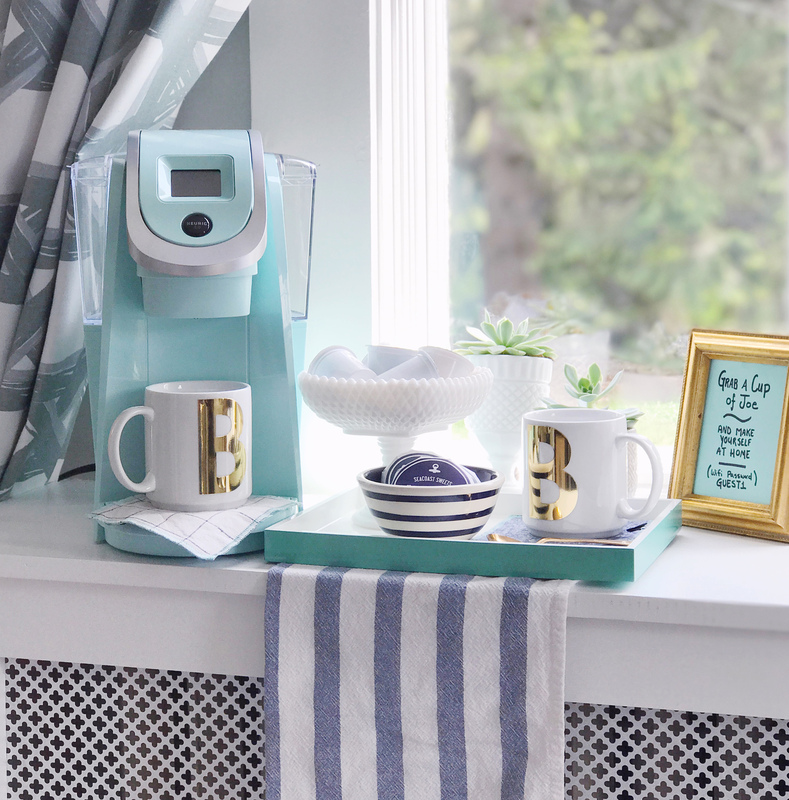 Set up a DIY coffee bar. I am a coffee addict (seriously, it’s bad) and brew some fresh the second I wake up in the morning. As a guest, I’d love to have a hot cup of coffee while I’m getting ready before coming downstairs to meet the rest of the crew. 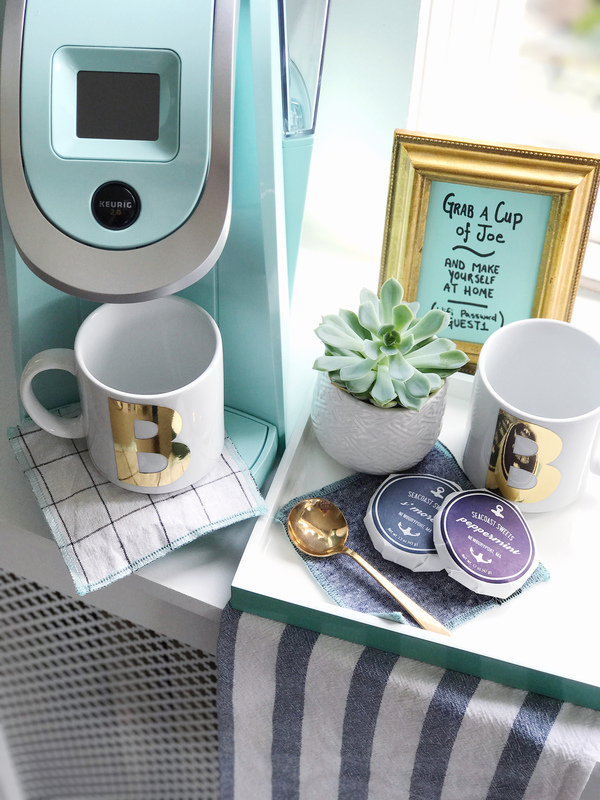 I picked out the most adorable Keurig® K250 Coffee Maker in “Oasis,” a minty-green color that is perfect for a quick cup of joe that guests can brew themselves. 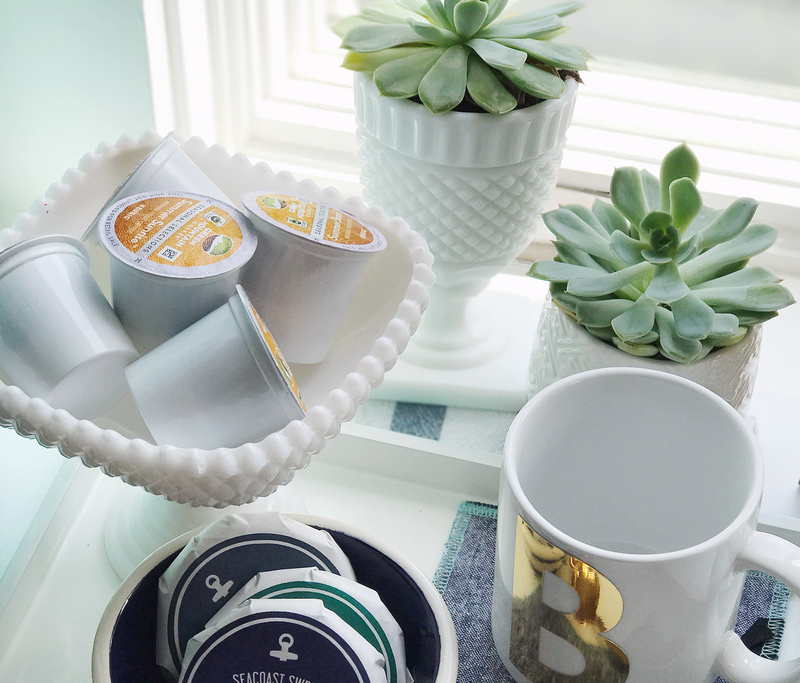 It’s fun to include some seasonal coffee options too, and Green Mountain Coffee® Summer Sunrise® Blend K-Cup® pods made it in my set-up for upcoming guests! 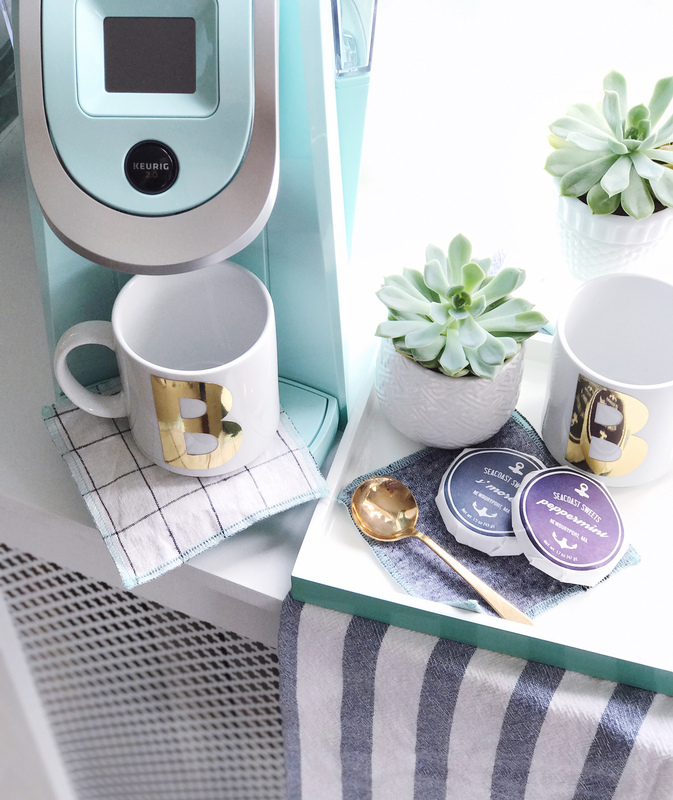 Customize mugs. I’m a dork and love to customize everything I can get my hands on with a monogram. 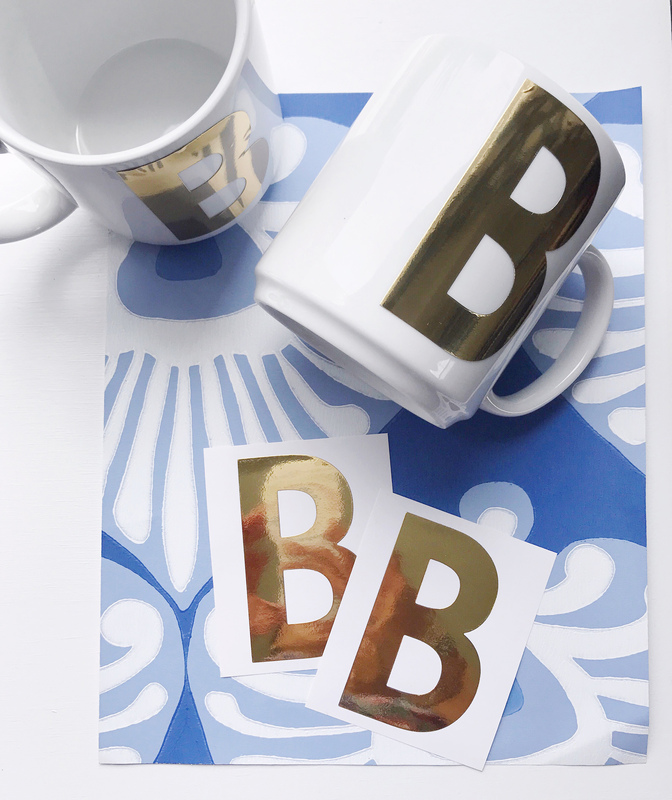 I took a set of plain white mugs and added metallic gold letter stickers to customize them with our last name initial. Just like staying a hotel where you get branded details, these mugs let you know you’re staying at Chez Bowler! Add some sweet treats. Chocolates on the pillow are a hallmark of a lovely hotel stay, and I picked up some locally made chocolate treats to nestle in my guest sidebar tray. It’s an especially nice detail to showcase some local delicacies for out of town guests. The key is not sneaking in there to eat them before my family arrives: wink, wink! Welcome notes and Wi-Fi. 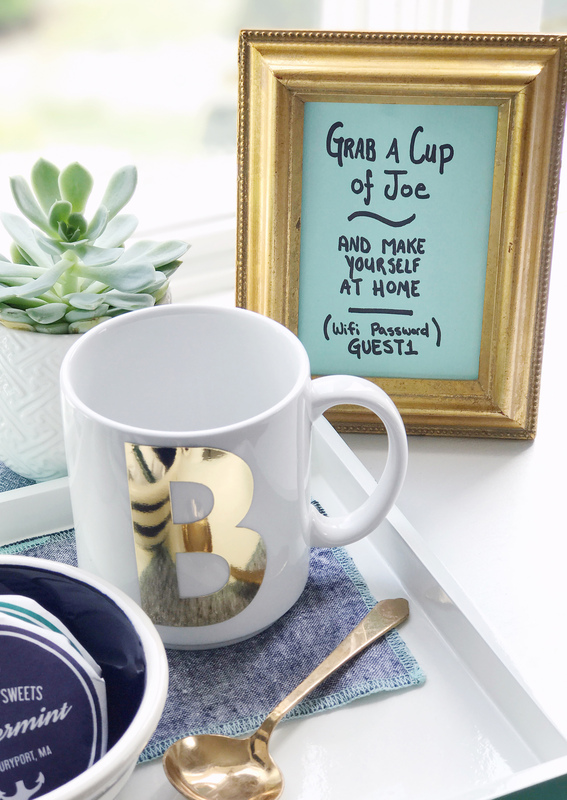 In a frame to match our DIY metallic initial mugs, I wrote a little note welcoming guests, encourage them to make use of the amenities and coffee we left out for them. It’s also the perfect spot to make a note about the house’s Wi-Fi password so your guests can tweet about how lovely their stay is at your house. So tell me, any special details you add to your guest bedroom? I can’t wait for our guest bedroom to be finished so we can start hosting summer guests! One Response to "Prepping for Summer Guests."